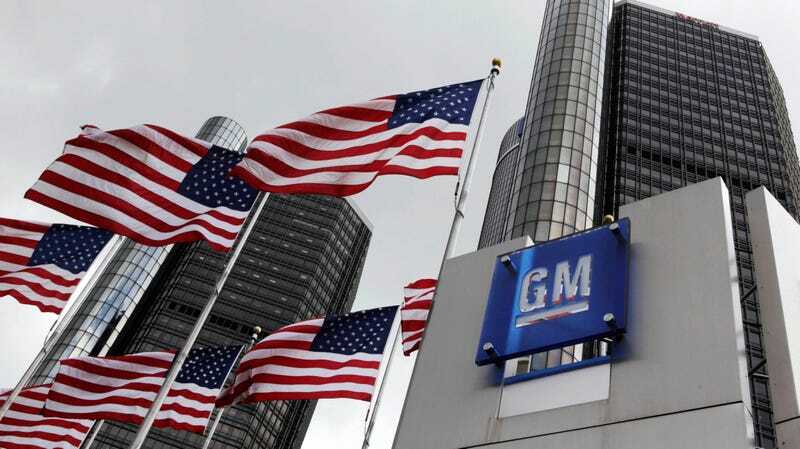 General Motors confirmed news of a major restructuring underway Monday, announcing that five North American plants will be closed, while up to 15 percent of its salaried workforce will be slashed. It marks the end of the plant that makes the Chevrolet Cruze in Ohio, the death of the Chevrolet Volt hybrid and the closure of the iconic Detroit-Hamtramck Assembly Plant. In the past four years, GM has refocused capital and resources to support the growth of its crossovers, SUVs and trucks, adding shifts and investing $6.6 billion in U.S. plants that have created or maintained 17,600 jobs. With changing customer preferences in the U.S. and in response to market-related volume declines in cars, future products will be allocated to fewer plants next year. The company is transforming its global workforce to ensure it has the right skill sets for today and the future, while driving efficiencies through the utilization of best-in-class tools. Actions are being taken to reduce salaried and salaried contract staff by 15 percent, which includes 25 percent fewer executives to streamline decision making. GM also said it’ll close two additional plants outside of North America in 2019, but didn’t elaborate which factories will shutter. The announcement marks most significant restructuring for the automaker since it filed for bankruptcy a decade ago. Along with the imminent death of the Chevy Volt, Reuters spoke to sources who said several models built at the Lordstown, Hamtramck, and Oshawa plants will be axed, including the Chevy Cruze, CT6 and the Buick LaCrosse. Asked for comment, GM pointed to its news release, which confirmed the report and added that production of the Impala and Cadillac XTS is also winding down. It wasn’t immediately clear if GM has a plan to reallocate or offer transfers for any workers at the affected plants. Local officials in Detroit are already scrambling, with the city’s mayor saying he’d like to “come up with a solution that works for GM and the employees,” if that means filling the assembly plant with GM-related entities or other manufacturing companies. Canadian Prime Minister Justin Trudeau was also disappointed by the situation. GM’s stock price was up 7 percent on the news. Update 1:10 p.m.: The Associated Press has updated its estimated figure for the job cuts to “up to 14,000,” and the headline of this article has been updated to reflect the change. Update 1:45 p.m.: GM spokesperson Stephanie Rice said by email that closures are contingent on UAW-GM negotiations, which begin next year.